I remember getting excited when James joined Twitter on September 11 2009. I’d been a fan for a while but had only sent a few questions via a Q&A he did for Joe Mallozzi’s blog back in the Stargate days. 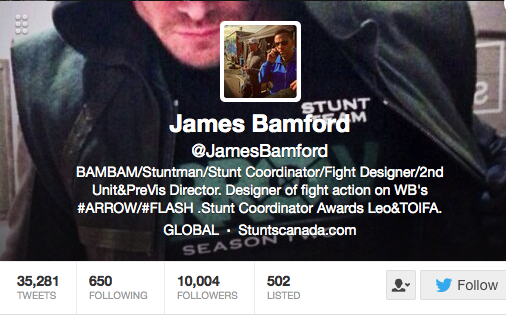 Well five years later and he has reached the 10,000 follower milestone. Congratulations James. It’s well deserved. Not only for the work you put into each TV show, film or web series but for the amazing way you interact with fans. I see it regularly – you truly make people’s day with an xoxox, a response to a question, retweet or favourite. I know you’ve often made mine. Thank-you! A little video for you………..